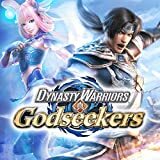 Depending on your perspective, Dynasty Warriors: Godseekers is either a fascinating left-field detour for a franchise that, in a lot of ways, has become pretty rote, or it shows total lack of understanding of what makes all the Warriors games worth playing in the first place. Or, if you come at it from my perspective, it’s a little of both. The important thing to know about Dynasty Warriors: Godseekers is that it actually ditches the musou formula entirely. Whereas most Dynasty Warriors games (and Samurai Warriors, and One Piece: Pirate Warriors) give you the opportunity to hack and slash your way through hundreds — occasionally thousands — of enemies, the action in Godseekers is much more contained. Gone are the traditional elements of musou, replaced by turn-based strategy. You’re not running around a giant map, but rather moving methodically across a grid. You can still eliminate hundreds of enemies with a single blow, but to do so, you need to follow a series of steps first, rather than just spamming the attack buttons. In fact, just about the only thing Godseekers has in common with the other Warriors games is that it’s built around a story that’s equal parts Japanese history and fantastical mythology. Is the change worthwhile? From a performance perspective, absolutely. One of the Warriors’ games biggest challenges on the Vita has been figuring out a way to show all those thousands of enemies falling away on a smaller screen that doesn’t have as much power behind it as a home console. Godseekers doesn’t have that issue: all the movement takes place on a grid, so there are no horizons or masses of enemies to render, and the action is confined to small setpieces, which the game has no problem showing. It’s not as viscerally satisfying as slicing down wave after wave of enemies, but it also never stutters or glitches, which is a nice bonus. Of course, a big part of what makes Warriors games worth playing — at least as far as I’m concerned — is that visceral satisfaction. Wiping out entire armies is much more enjoyable when you’re doing it by hand than it is when you’ve inputted a series of moves and you watch the characters on-screen act them out. Sure, you don’t have to constantly juggle what all your characters are doing at any given time, as is the case with the mainline Dynasty Warriors games, but that was part of what makes those games fun. What I’m trying to say, I guess, is that while Dynasty Warriors: Godseekers may streamline the action and make it much more manageable, it also makes things feel a little sterile, too. Points to Tecmo KOEI for trying something new, I guess, but at the same time, Godseekers is a good reminder of why “If it ain’t broke” became a saying in the first place.